Nakusp Art Party! What a success! Over the last few years, we’ve brought together many friends to create something for this village that was beyond our wildest dreams. We didn’t even think we’d make any money at the first one, and ended up with aprons and ziplocks full of cash stuffed and hidden in strange places. 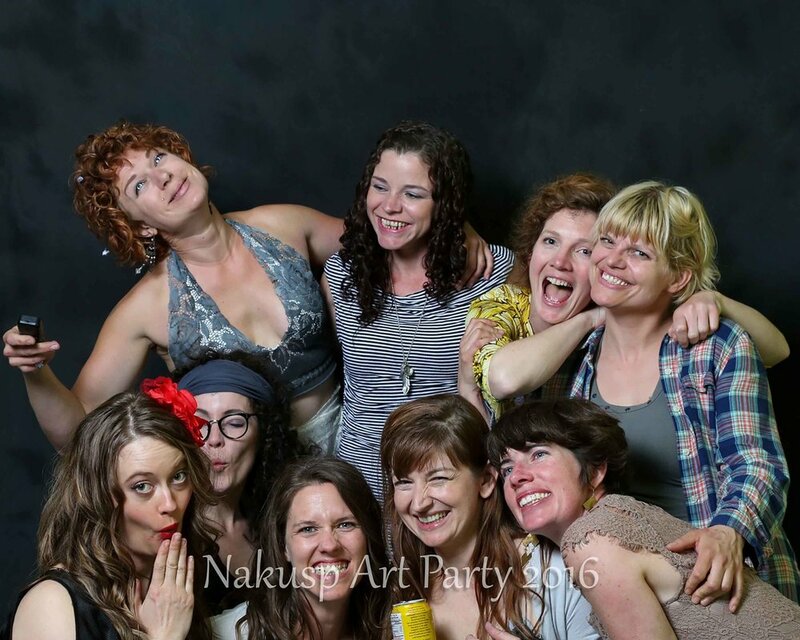 Nakusp was thirsty for art, and for a party, let’s be honest. When I dreamt up Art Party and pitched it to my friends, my premise on its including all the arts was this: we don’t have a lot of artists in town so we can’t specialize, and I wanted something that anyone who enjoyed art and partying could come out to and support the cause, which was to raise funds for my sculpture, Looking Aft, which now sits on the M.V. Columbia. Thank you to everyone who contributed to that project and party. What amazing support you receive as an artist in a small community. We couldn’t believe the success, and our town was so connected and affected by it that someone suggested we do two Art Parties a year, and that happened. Somewhere along the way, I lost the plot. I was supposed to be building sculpture, but I was somehow volunteering way too many hours to a fundraiser, albeit one that I was passionate about. I tried to do everything for everyone, but I wasn’t strong enough. I resented the party for stealing time from my practice and my family. Eventually, I overworked myself into a breakdown.